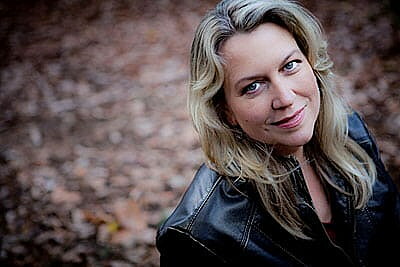 Author Cheryl Strayed – whose hiking memoir “Wild” became a No. 1 New York Times best-seller and an Oscar-nominated movie – will speak at the University of Montana on Monday, Oct. 15, as part of the 2018-19 President’s Lecture Series. Strayed will present a lecture titled “A Wild Life” at 7:30 p.m. in the Dennison Theatre. The event is free and open to the public. “Wild: From Lost to Found on the Pacific Crest Trail” was chosen by Oprah Winfrey as her first selection for Oprah’s Book Club 2.0. The movie adaptation stars Reese Witherspoon as Cheryl and Laura Dern as Cheryl’s mother, Bobbi. Besides “Wild,” Strayed is the author of The New York Times best-seller “Tiny Beautiful Things: Advice on Love and Life from Dear Sugar,” “ Brave Enough” and “Torch.” Her books have been translated into 40 languages around the world. Strayed’s essays have been published in “The Best American Essays,” The New York Times, The Washington Post Magazine, Vogue, Salon, The Sun, Tin House and elsewhere. In addition, Strayed co-hosts the WBUR podcast “Dear Sugar Radio,” which originated with her popular “Dear Sugar” advice column on The Rumpus website. Strayed holds a Master of Fine Arts in fiction writing from Syracuse University and a bachelor’s degree from the University of Minnesota. She lives in Portland, Oregon. “Wild” is this year’s Griz Read title for new UM students. All members of the campus community, especially first-year students, are encouraged to read the book and participate in Griz Read events. First-year students also may compete in an essay contest. The President’s Lecture Series at UM consists of several talks throughout the academic year on vital topics by distinguished guest speakers. For more information visit http://umt.edu/president/events/lectures/, call UM political science Professor Robert Saldin at 406-243-5202 or email robert.saldin@umontana.edu.